Hallstar's extensive capabilities in photostability sciences, 100% vegetal oil-extracted eco-actives and functional naturals set us apart in the field of cosmetic chemistry. Our newest functional natural ingredient, the biomimetic Sensolene® Light ET, is derived from both olive oil and olive leaves. It combines dry sensoriality and antioxidant benefits and is a sustainable alternative to silicones. Collaborate with Hallstar's experienced formulation chemists to create one-of-a-kind formulations that enhance performance and give your products a competitive edge. Hallstar's products are inspired by consumer trends, regulatory needs and formulation problem-solving. 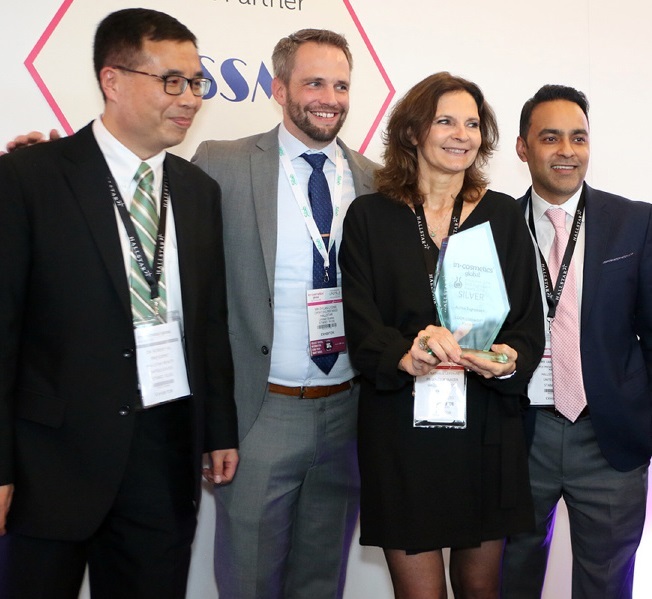 Hallstar Beauty wins Silver at in-cosmetics!